45 Paul Staladi - ??? 2007 was working at Blomfield Special School & Resource Centre in Whangarei NZ. Paul Staladi is living in Palmerston North and is contracted as an army chef at Linton Army Camp. 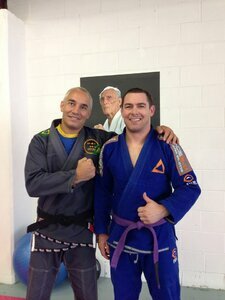 Away from work he enjoys fishing and Brazilian Jiu-Jitsu. Pics below are from 2011 (top) and 2015 (bottom)..
Was actually in contact with Paul but he's now gone offline. Have nothing new on him but he was still in NZ at the time. 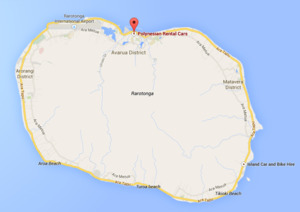 He is living in Avarua, Rarotonga and owns a vehicle rental company in the area. Cant find anything recent on Lee but theres this from an article in mid 2010. Palmerston North Detective Lee Oudenryn said many of the transactions were made at city bars. "She's a mad poker machine player, so that's where most of it went," Mr Oudenryn said. 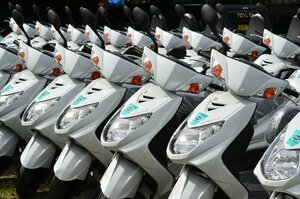 The money was also used to buy hundreds of dollars worth of tobacco, he said. Mr Oudenryn said the victim was "absolutely gutted" at the loss of the money. Found this article from 2007 on the Feilding Rural Day which is still in the Pamly area that made me laugh. The other highlight of Rural Day was the gumboot relay. Teams went through the saleyards, dodging farmers and stock agents and hurdling gates before passing their gumboots on to the next team member to wear. The winner was the police team, which was neck and neck with another team until the final leg. 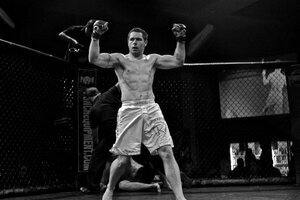 Then officer Lee Oudenryn, a former winger for the Warrior's rugby league team, won the final sprint. That photos from the masters tournament we had here last year. Harps ( the other guy in the photo ) posted that to wind the halswell folk up coz he was playing for pap. 49 David Bailey - ??? was last involved with the Ponsonby Ponies Auckland NZ. Another player I cant find a thing on. Nice and easy this one. Jerry Seuseu is still the Warriors Welfare and Education Manager. 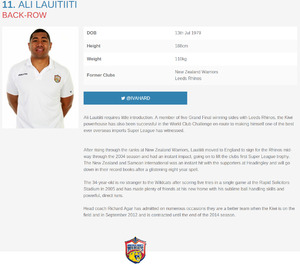 Along with Solomone Kata, Tuimoala Lolohea and Agnatius Paasi, Lisone is regarded as the best prospects at the club. ''It's always good to get a few praises,'' Lisone said. ''But sometimes when you get up there in the clouds you need someone to tell you how it is and I'm really thankful to Jerry Seuseu (Warriors Welfare and Education Manager) for that. 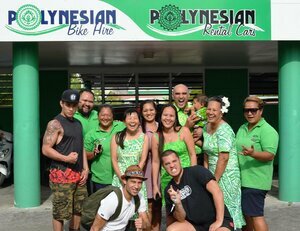 Kevin Iro is still living in Arorangi, Cook Islands. 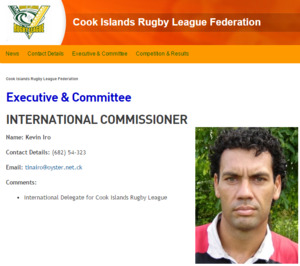 Still listed as the Commissioner of Cook Islands Rugby League. Not sure if that keeps him busy year round. 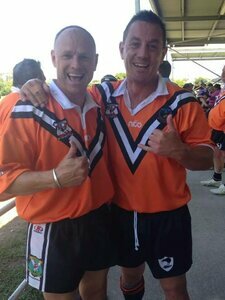 Having "fell in love" with coaching after former Kiwis team-mate Sam Stewart asked him to manage a team of ex-pat Kiwis Stewart was coaching, Horo moved back to Australia in 2001 to start coaching at under-17s development level in Parramatta. Two years on he was asked by an Eels club official about a house parenting gig, where he and wife Millie would take several future stars under their wing. "At the time I remember him getting a handshake for two years, so that we weren't inconvenienced. So we moved out of our house into a place in Parramatta, and that two turned into 12," Horo said. That continued to his days at Penrith, where Horo is now, moving there in 2011, after being lured by Panthers general manager Phil Gould - one of the sport's biggest names. "He posed the question with me to come over and help prepare the welfare programme which is the house parenting, and become one of the coaching staff," said Horo, who was involved with the under-18s and the under-20s side which last year beat the Warriors in the grand final. "You just know that he's smart," Horo said of Gould. "He's got a football brain. And it's pretty evident now what they're doing three years later. If anyone was going to get it right he would." 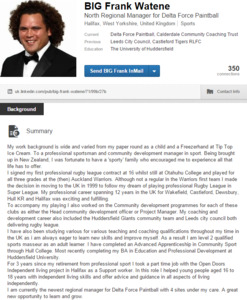 Horo also spent nine years as head coach of the rugby league programme at Hill Sports High School. 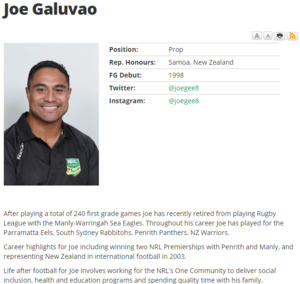 After last year coaching five different teams, he is putting the coaching to one side, as he and Millie put their energy into a rugby league development programme for Maori kids. It was initiated by the New South Wales Rugby League five years ago to develop players who haven't played rep football, with a Harmony Cup competition established between several countries in the Pacific. Horo and Millie take care of the NSW Maori under-16s and raise money to give them jerseys and training gear, while Horo also brings in and helps develop a coach. While also working as NSW account manager at A1 Industries - the same company brother Shane (also a former Kiwi) is at - Horo is about to start some volunteer work with the New Zealand Rugby League around talent identification to see what players are available for the Kiwis. Tyran owns and runs a successful sport agent company. Just spent 6hrs sitting next to Daniel O'Regan on a flight from Bali to Sydney... Nice fella, massively tattooed since he left us. A lot smaller than i thought.